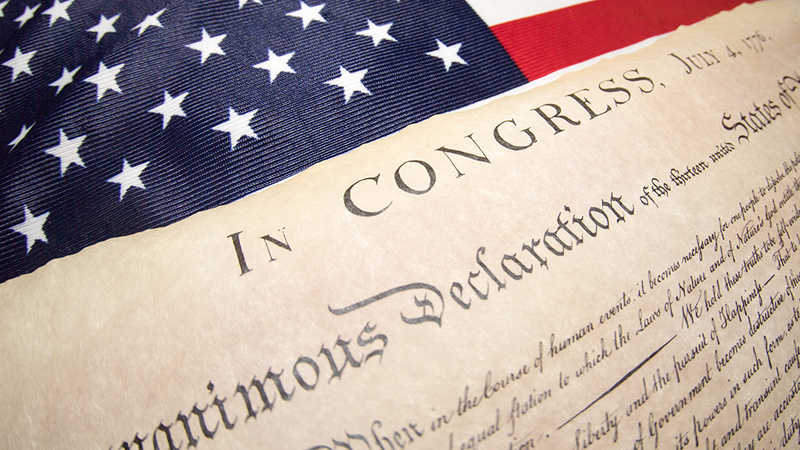 In the latest wake-up call that Facebook, Google, YouTube and Twitter censorship is completely out of control, Facebook recently banned a post that shared a section of the Declaration of Independence. Facebook’s notice then asked The Vindicator to review the contents of its page and remove anything that does not comply with Facebook’s policies. No one is surprised anymore to learn that Facebook, Google, YouTube and other tech giants continue to ban pro-liberty speech. YouTube, for example, continues to ban my entire channel for no justifiable reason whatsoever. (I’m launching REAL.video as an alternative to YouTube, as you know, and it’s now functioning in a beta stage at http://beta.real.video ). Meanwhile, Facebook has been purging large natural health channels from its network in huge numbers, practically carrying out a kind of “online ethnic cleansing” against nutritionists, herbalists, holistic doctors and Chinese Medicine practitioners. After being called out by critics, Facebook reversed its ban and reinstated the post. “Facebook has apologized to a Texas newspaper after flagging a post containing text from the Declaration of Independence as ‘hate speech,'” reports Breitbart News. In other words, after getting banned for posting excerpts of one of the most historical documents our nation has ever known, this editor practically apologizes to Facebook for doing so, then grovel at their feet and thanks them for restoring his account. Does Stinnett have no idea of the irony he’s invoking while bowing down to the Zucker-King of Facebook which banned his post about a document that declared independence from precisely such tyranny and servitude? Did Stinnett even read what the Declaration says? The whole point of the document is that free men (and women) would no longer have to beg any king for permission to say what they want or live the life they want to live. Stinnett even goes on to explain that he might stop posting the Declaration of Independence out of fear that Facebook might close down his entire page. “So, the removal of this morning’s post puts The Vindicator in a quandary about whether to continue with posting the final two parts of the Declaration scheduled for tomorrow and Wednesday. Should Facebook find anything in them offensive, The Vindicator could lose its Facebook page,” he says like a good, obedient liberal who cedes power to some authoritarian tyrant. Get a grip, man, you’re an American! You’re a Texan! If you can’t find a big enough pair of cajones in your nut sack to post the Declaration of Independence in a public forum, then resign from your job, close down the paper and stop pretending to be in the information business altogether. It’s obvious you’re a pathetic liberal apologist pretending to be an historian. I’ve had enough of these panzy, pathetic pretenders who just want to appease the tyrants at Facebook, Google and YouTube. If you don’t want to live in a free nation that respects individual liberties and the First Amendment, tear up your passport and emigrate to Venezuela, where I’m sure you’ll find the stench of mass starvation and death appropriately appeasing to your left-wing preferences.